It is somewhat fitting that with the launch of the website comes with the review of a movie that is very much about the Internet, and the Nice Guy Culture that can easily be associated with it. Colossal is a film by Nacho Vigalondo; starring Anne Hathaway, Jason Sudeikis, Dan Stevens, Austin Stowell, and Tim Blake Nelson. Centering around Hathaway’s alcoholic writer, Gloria, the film follows her after she and her Ex-Boyfriend Tim (Stevens) break up and she makes her way back to her hometown to figure out her life. With assistance from the instantly likable Oscar (Sudeikis in scene stealing role), Gloria finds herself in a struggle with her alcohol addiction, two very different but no less toxic men in her life, and the Kaiju monster currently wreaking havoc in Seoul, South Korea. Let it be said right off the bat that I loved this film. For as long as I can remember I have watched Kaiju monster flicks relentlessly, from the well known like King Kong to the more obscure like Yonggary. In general kaiju films usually have something to say (Don’t believe me? Then you’d do well to watch Godzilla or The Host). And while this one is no different, it has the backing of one hell of a stellar cast headlined by career high performances from both Hathaway and Sudeikis. Both of these phenomenal actors bring their ‘A’ game to roles built perfectly for and around them. Hathaway’s Gloria comes across as someone who clearly regrets her late night choices, and the consequences they bring, yet also can’t resist the allure of the bottle and the freedom it gives her in not caring. It is through her addiction that she comes to the realization of what it’s really costing her, and those millions of miles away from her. From that alone you start to see an awesome arc where she not only battles her addiction to save lives, but also to save her own and recognize her own self-worth. I’ve never seen Hathaway so damn funny, smart, vulnerable, and fierce at the same time. It’s hard to think of this movie without her headlining it because she seals the deal, all while giving a phenomenal arc that opens at her lowest and closes at her (literally) highest. Meanwhile Jason Sudeikis’s Oscar is the most lovable guy you’ll ever meet. He’s a sweetheart, he’s there when you need him even when you don’t fully expect it, he buys you things, he makes sure that you are okay, and most of all he cares. That is until he finds out someone else has your eye. After that, well as he put it so eloquently; “No more Mr. Nice Guy”. I loved Hathaway in this, but for me Sudeikis was the scene stealer. His Oscar can be anyone, any guy out there. I’ve seen it, hell I’ve wondered if I’ve been “him” (Not to his extremes mind you, but still). When Oscar doesn’t get what Oscar wants he becomes vindictive, angry, childish, and petulant. He starts small, knowing your past and the things you’ve been up to because all that is to him is ammunition to use later when you slight him. And when you do, he makes sure you hurt, even if it means driving you away forever. But hey at least Oscar got the last laugh, right? In a way, it hurt to see Jason Sudeikis play such a scumbag, because he plays the nicer part of him so well, there’s no way he’d turn heel to be a douche. You thought wrong, and it’s hinted early on how he subtly controls Stowell’s Joel when he makes a false advance on Gloria, and Garth as he teases him for his past demons. Joel and Garth exist to make Oscar feel like he’s worth the ground he stands on, and Gloria is his prize. So yeah, we’ve seen that guy, and Jason Sudeikis is utterly captivating as this snake in human skin. Do not be fooled! While Colossal may look like a kaiju film, with a giant monster and robot duking it out in an Asian city, it most certainly is not. First and foremost, it is a human drama centered around its characters, with the Kaiju placed squarely in the background. Trust me when I say this film is not trying to be subtle, hell its name is ‘Colossal’, so I wouldn’t go into this one thinking of hidden messages when they are so out there in your face. Which brings up the point of the internet and how Colossal shows us the toxic male personality. Many films such as these usually deal with big themes, from Godzilla 1954 showing us that the titular character himself was a metaphor for the nuclear destruction of Hiroshima and Nagasaki in World War II, to his reboot decades later in 2014 where the character was treated as a natural disaster much like the tsunami that devastated Tokyo a few years prior to. Colossal shows the audience how these two toxic men (Tim and Oscar) influence and control Gloria in two different, yet no less hurtful way. From Tim’s constant admonishment of her lack of trying to fix herself and how he has everything together to Oscar’s push to control everyone in his life to make himself feel better. I’ve seen this kind of behavior on the internet before, with the harassment and death threats to female creative voices for not pleasing their male audiences in the way they want. It’s ugly, and in no way right. Oscar was a character that while played masterfully by Sudeikis, was one I began to hate while also feeling deeply uncomfortable with. It’s that kind of toxicity that make many people afraid to show the world who they are, and depending on the person can either make or break them. It hurt seeing someone like Gloria being put down on all sides for no other reason than being her, so her eventual triumph is well worth the wait, and totally fist bump worthy in every way. Overall I have to say I really enjoyed this film. I can honestly say it being a kaiju film was a selling point, but it wasn’t what made me rush out late at night to go see it. For me it was the look of something different. It had the skin of a kaiju film, but what it really was a film about Gloria and her struggle to stand up for herself and her life, by showing her what these men really think of her and I love it! I loved seeing her rise to the occasion and taking back what’s hers, and trust me when I say everyone gets what’s theirs that deserves it. The only real negative that I can say is that Joel and Garth don’t really add much to the story other than highlighting Oscar’s extremities. They both kind of disappear in the back half of the film with no real follow up to them. Besides that, I had a blast watching Colossal and I hope that should you get the chance, you’ll experience this yourself. 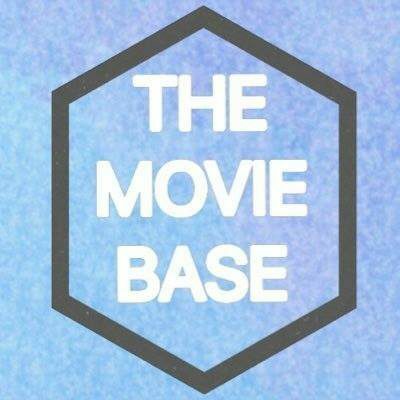 NextWelcome to The Movie Base!